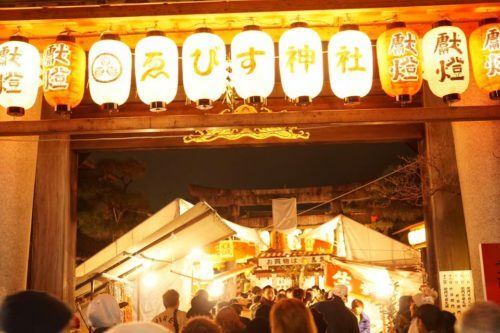 The first major festival of the new year, Toka Ebisu, was held at Kyoto Ebisu Shrine over a five-day period from January 8th to the 12th. 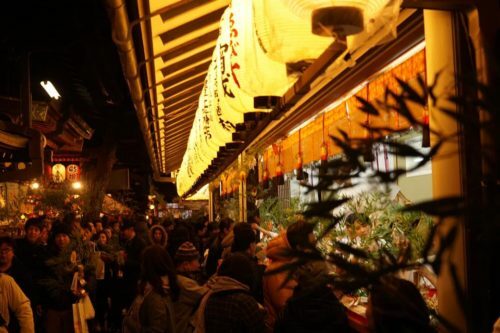 The enshrined god, Ebisu, is one of the Seven Lucky gods and considered the god of fishermen and commerce, so the festival is based around Ebisu’s birthday on the 10th, hence the name Toka(“Tenth Day”) Ebisu. All of our staff and a couple of guests went to this festival together. Along the street, there were so many tempting food stalls!!!! But we went to say hi to Ebisu god first. 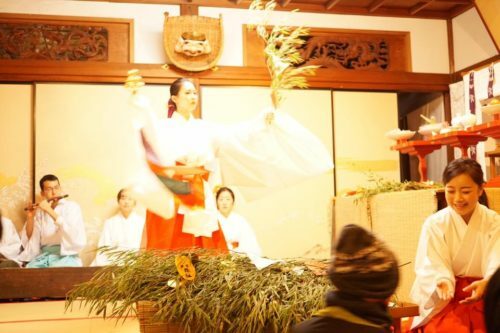 In front of a small altar a shrine maiden performs sacred kagura dances to bless branches of leafy green bamboo(hukuzasa) for parishioners to receive and other maidens were quitebusy helping people select which lucky symboles they want to attach to the stalk. 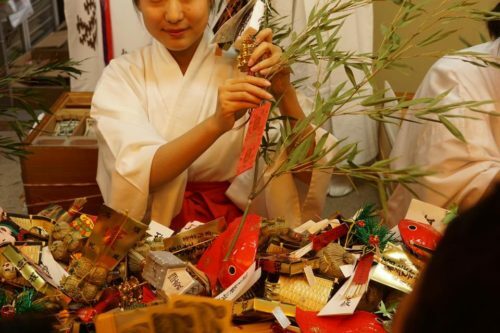 We bought 2 green bamboos with some lucky symboles one for Main guest house and another for Annex. There were so many local people in this festival and it was lively! I felt how important this festival is to start new year. So I’m sure it will be great year like every year!